TOLEDO, OHIO - Will Craig, Cole Tucker and Bryan Reynolds teed off with solo homers in consecutive innings from the second through the fourth to back 6.0 frames of one-run ball by Indians starter JT Brubaker in a 4-3 win over Toledo on Wednesday night. Craig got the scoring started for Indianapolis (3-3) in the second when he parked his fourth long ball of the year out to left, a shot off the Fifth Third Field scoreboard. One inning later, Tucker joined the home run party with his second of the road trip, driving the ball over the wall in deep left-center field. Toledo (3-3) answered with a run in the bottom of the third thanks to a Daz Cameron run-scoring single, but Reynolds push Indy's lead back to two in the fourth inning with his second dinger of the season. His shot sailed to deep left and one-hopped off the outfield concourse into the street outside the stadium. 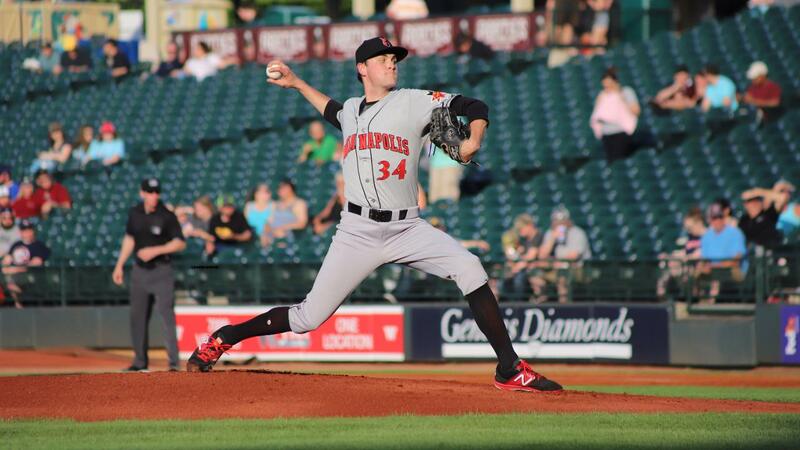 Brubaker (W, 1-0) sailed along with the early run support, stifling the Mud Hens throughout the night. He yielded one run on five hits, walked one and struck out seven, matching Alex McRae for the most punchouts by a Tribe starter this season. Indy plated its final run of the game in the sixth on an Elias Diaz RBI double that made it 4-1. After Brubaker worked a 1-2-3 frame with two strikeouts in his final inning of work, Brandon Waddell and Jesus Liranzo (S, 1) managed to hold the lead to seal the Tribe's third straight win. Waddell fanned two over 2.0 scoreless innings. Liranzo's ninth wasn't as smooth, as he surrendered two runs before stranding the tying run at third base. The hard-throwing righty walked Dawel Lugo to begin the inning, who eventually touched home after three wild pitches. JaCoby Jones later added an RBI triple with two away, but Liranzo struck out Danny Woodrow to retire the side. Ryan Carpenter (L, 0-1) was tagged for four earned runs on six hits over 5.0 innings while taking the loss for the Mud Hens. The Indians clubbed 11 home runs on the road trip, a total that is tied for third most in Minor League Baseball. Indianapolis returns to Victory Field on Thursday to open an 11-game homestand. Right-hander Mitch Keller (0-0, 3.86) will oppose Charlotte left-hander Jordan Guerrero (0-0, 9.82). First pitch is scheduled for 7:05 p.m. with gates opening at 5:30 p.m.